One of the great joys of literature is a chance to enter the world of another person, particularly one who would otherwise be completely inaccessible. 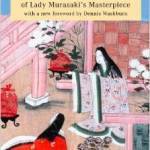 So I was excited about reading Lady Murasaki’s classic novel The Tale of Genji, and immersing myself in the world of high courtiers during early 11th century Japan. Instead I ende d up wondering if I should simply stop reading anything translated from another language. 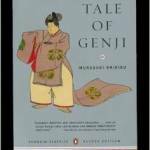 Often called the world’s’ first novel – or, alternately, the world’s first modern novel, or first psychological novel – The Tale of Genji was written by Murasaki Shikibu, aka Lady Murasaki, a noblewoman in Heian period Japan. It follows the life of Genji, the tempestuous and beautiful son of an Emperor and an adored but low-ranking concubine, focusing largely on Genji’s romantic and family life as well as the the customs, alliances, and shifting political alliances of the aristocratic society around him. I began reading the first version translated into English, Arthur Waley’s edition from 1933. It was okay, surprisingly accessible, but disconcertingly simplistic and familiar. What was so great about this book that made it a classic? It had elements of a modern tale, so maybe it was striking that something so modern had been composed a thousand years ago in Japan and could be understood in 21st century America. Still, it was hard to see that this quality alone could explain the book’s seemingly timeless, placeless appeal. Then my daughter, who had studied the work in college, put a copy of a newer translation by Royall Tyler in my hands. This edition opened with an introduction that made me see I had been missing quite a bit in the original translation. I learned, for example, that no one was ever alone in this world where solitude and privacy simply didn’t exist. I learned that the language of the time was so reticent that unless you were intimately familiar with insider euphemisms and allusions, you could easily conclude that no one did much more than sit around and talk. And I learned that the only acceptable way for Genji’s peers to address another person from the heart was to speak in poetry – and that, in fact, exchanging poems, and understanding their references, was a matter of social necessity. I discovered considerable differences in the story itself, too. One passage in Waley would attribute motivation to Genji that was entirely absent in Tyler. Poems on nearly every page of the Tyler version were left out entirely from Waley, or simply mentioned in the narrative as a complex, anacrostic poem. Characters had different names in each version. And things I had thought were either superfluous details in Waley, like the fabric of a gown or the name of a musical instrument or piece of furniture, turned out to have deep religious or cultural significance when I bothered to read the footnotes packed onto the bottom of nearly every page of the Tyler version. It turns out that there are nearly 100 editions of Genji, including five major English translations, none of them wholly satisfactory, and none believed to capture the true essence of the original. How could they? The Tale of Genji was written in the archaic court language that was already inaccessible even to Japanese speakers a century after it was written. Differences in translation were inevitable, reflecting both the personal style of each translator and the reigning philosophies of translation, as well as distinctive characteristics of Heian court society – including a highly inflected language with extremely complex grammar and the custom of referring to aristocrats not by name (considered rude) but by whatever their rank, residence, or clothing color happened to be at any given time and place. I had a similar wake-up call reading a 19th century translation of Anna Karenina – and that was a culture considerably closer to my own. I was about halfway through the novel when I realized that Anna was pregnant with her lover Vronsky’s child – a fact that had somehow escaped me for perhaps a hundred pages because the translator had sidestepped all words for pregnancy itself as well as for the specific circumstances that had led to it. Perhaps that reticence reflected a convention at the time of the translation, or perhaps even of the original Russian, but it failed to communicate an important plot point to me, a modern American reader. I switched to another translation, and voilà, I was reading another story altogether. Which version of Anna Karenina was most true to the original Tolstoy is another matter, as is the question of what it means to read a work like Genji today. It seems that the truer a translation is to the original, the more its innuendos and allusions are lost on modern readers. Thus, the more Tyler tries to approximate the flow of the original work, the more he needs to spell out these things, or explain them in footnotes, forcing readers to break up the story by referring to these explanations as they wade their way through the translation. Realizing this reminded me that my experience of the tale had to be very different than it must have been for anyone who was around to read, or hear, the tale when it was first written. I began to wonder if all the translations I had read in my life, the beloved Balzac and Flaubert, Thomas Mann and Goethe, Dostoevsky and Tolstoy, had been illusions, at best Platonic shadows of what the authors had intended rather than pure representations of those intentions – or even reasonable proxies for experiences that readers of the original versions might have had. Of course, these were hardly original concerns. Anyone who has ever translated anything, or pondered the nature of literary translation for more than a minute, has wondered much of the same. Still, the sense of futility I had reading Genji stopped me in my tracks to the point of wondering whether I should swear off reading translations entirely and instead devote the rest of my life to learning the language of any book I really wanted to understand. Of course, I’d face many of these same obstacles even if I didn’t need to read Genji in translation. Even those fluent in modern Japanese would experience the original tale differently than a reader from 11th century Japan, and undoubtedly spend almost as much time wading through footnotes and annotations as me. I have trouble reading Chaucer, after all, and need a goodly amount of footnoting to understand it as well. Even Shakespeare, written a mere 400 years ago, poses a challenge for most of us. And then I understood: there is no escaping translation, even when it comes to reading books written by our contemporaries. To some degree, each of us has a unique way of experiencing the world and using language to communicate it to others. What others get from those communications is modulated by their own language and sense of the world, and though we may communicate more or less, better or worse, with some people than others, all literature, and, really, all communications are inherently incomplete and imperfect. Remembering that everything we read is a translation of what amounts to a foreign language, or that reading will never allow us to fully experience another person’s world is sobering, and is certainly worth remembering now and then. Still, rather than seeing it as a reason not to try, I prefer to see it as a reason to try harder.